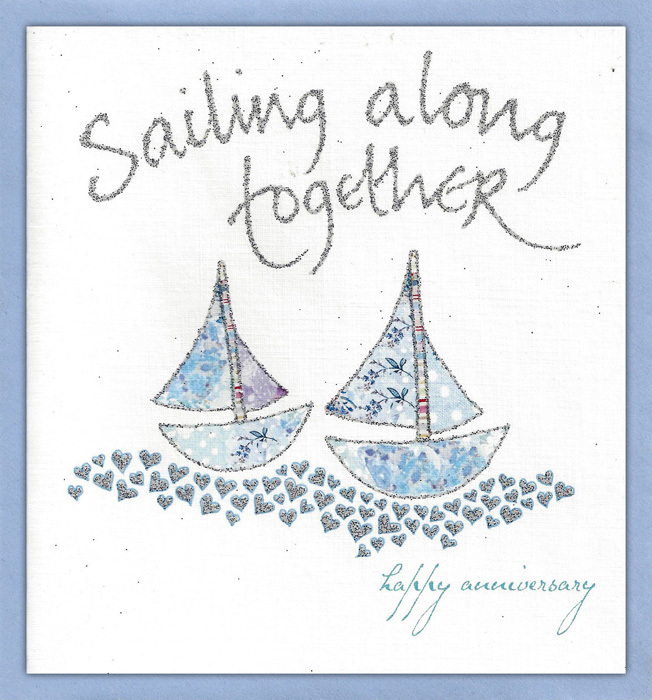 Sailing Along Together is our most popular anniversary card. 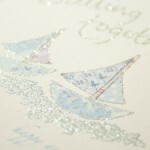 In shades of pastel blue on a sea of silver hearts, the two ships sail side by side. 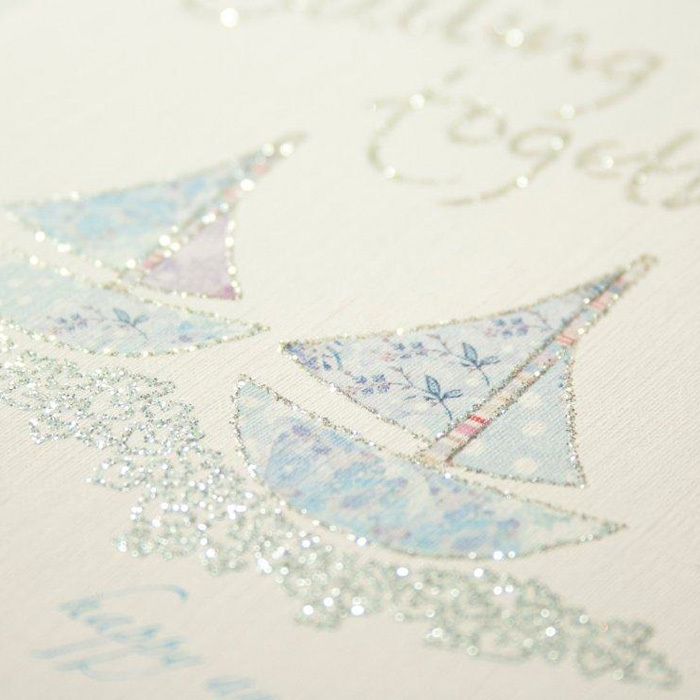 The sentiment reflects the true nature of a long and happy marriage and is perfect for a couple who are celebrating after many years together.